Whether you have a family or not, if you’re considering security cameras for your home or business in East New York, you’re in a growing crowd. The appeal for monitored surveillance technologies in the area have risen in recent years. Not all solutions are the same, however, and in fact, purchase the wrong cameras for your household or business and you could leave yourself more vulnerable than if you had no system at all. Prior to making that purchase, take a look at the info below. We’ve tackled some of the prevalent home security concerns our customers have had over the years. For additional tips, remember to contact us at (718) 484-4050. M&D Locks and Keys has been installing security cameras systems in the East New York area for a long time. One of our home security specialists will be happy to answer all of your questions. What are common ways to use home security cameras? East New York residents use security cameras for several reasons, but the most popular are deterring criminals and break-ins, protecting family and property from theft and robbery and to observe caregivers and in-home staff. Which are the best security cameras for East New York homes? With our expertise in home and business security among Brooklyn neighborhoods, we can recommend several brands that are the most popular and best equipped for East New York residents. Those that consistently perform best are Samsung, Bosch and Sony. These are the three brand names M&D installs the most. In case you currently have a different model, we may be able to support or update it for better performance.Contact us to be sure. These are the most common systems and our best sellers. They incorporate many features and provide you with the ability to keep an eye on your home from your computer. You could even monitor your property from anywhere as long as you have a computer or other hand held device with access to the internet. Network systems also include monitoring from closed circuit television (CCTV). These units have gone through significant improvements over the last few years by incorporating digital feed and sophisticated computer access devices. Dome cameras provide a 360 degree view so they can pivot in any direction. These are the gadgets you see in Atlantic City casinos. Since the dome is shaded, it is not certain where the camera is directed and if it is actually working. This causes it to become a deterrent, even if the unit isn’t on. Imitation units tend to be applied as mainly deterrents and are little more than the camera housing. Dome camera housing is normally used for imitation cameras. These systems are typically used by people who cannot afford a real surveillance solution, yet still need a deterrent for would-be intruders. They do a pretty good job since they are practically indistinguishable from authentic cameras. Manufactured to be more durable, outdoor security cameras are generally located in a case that will help them hold up against the harsh East Coast weather conditions. The lenses will often be made from fog resistant glass so moisture and humidity doesn’t impair the view. They are often aimed in one place and have limited range. More expensive units can usually rotate their direction, however, most cameras are still and need to be moved manually to change angles. Night Vision units are able to use infrared technology to allow you to see clearly in almost complete darkness. Some of these systems can now be used in both day and night, allowing for more consistent monitoring. Many of the previously mentioned solutions come with wire-less and remote access technology so you don’t have to select from a good quality network camera and one that permits you to monitor your home while away. You can now have both. Both indoor and outdoor systems can be set up for wireless installation. Covert and hidden systems can take on the appearance of a smoke detector, portraits, statues and even tissue boxes. We typically recommend that your security cameras be visible to everyone, however. It’s usually better to prevent theft and unwanted entry whenever possible. Motion detectors may be installed together with your alarm and security system. Cameras are initiated any time the sensing unit identifies movement. The recording starts as soon as activity is detected. Speak with your security expert to determine which configurations are best for you. How difficult is it to operate security cameras? Historically, security camera systems were large, awkward and difficult to use. Now, they are much less difficult. If M&D sets up it for you, we’ll show you how it all works until you are totally satisfied and confident with your system’s functions and capabilities. Don’t do it by yourself. Please let a specialist do it for you. Occasionally we come across a homeowner who has purchased their particular system at a big box retailer such as Walmart or target. Without the right installation, these cameras are frequently positioned improperly and configured incorrectly, leading to more troubles than they solve. We don’t fault anyone for wanting to spend less, but home security is just too important not to be done properly. Low-cost security systems will never be adequate to protect your home in East New York in our opinion. We highly suggest that a skilled technician install and service your home security camera system, even if you go with someone else. How good are camera solutions? Just how well will they work? The office of Homeland Security claims that security cameras have been proven to be extremely effective, but only if installed properly and used effectively. The biggest problem with poorly functioning systems is faulty installation and incorrect usage. This is why your cameras ought to be installed by an expert. Intruders can generally recognize a system that was not installed by a specialist. Use a professional. Don’t attempt putting in your cameras and wiring yourself. Your family is too important to do it on your own. Call M&D at (718) 484-4050. We’ve got years of experience not only in home security, but in your community as well. We’ll make sure to install one of the top 3 brands; Bosch, Samsung or Sony. Your new system will be fully tested and operational after the installation is done. You’ll have to pick color or black and white. There may be a significant price savings. If an vicinity has extremes such as a great deal of light or dim light, it’s best to use black and white since it will be much easier to pick up faint images. Color ought to be used for indoor security cameras. Determing the best resolution for your displays is important. The better resolution, the sharper your images will be. Low resolution may be cheaper, but are not ideal for detailed face or feature recognition. It’s necessary to purchase hardware that is compatible. We do not advise mixing brands. This often seems to result in compatibility problems. 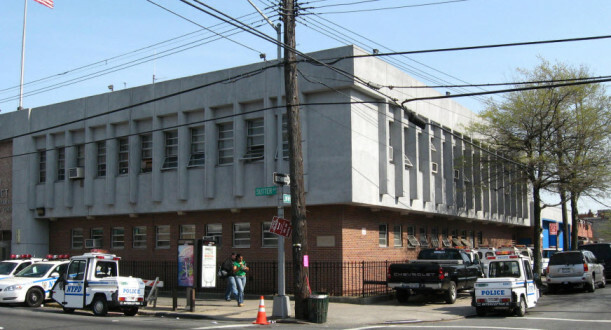 What should you expect to pay for a system set up in East New York? That’s the only question on this page that may be hard for us to answer without knowing more details. In an effort to answer this question, we’ll have to ask you a few questions as well: What exactly are your security objectives? Are there several rooms, a complete home or a business to be observed? What is the square footage of each area to be monitored? Will your cameras be for indoor or outdoor security? How advanced would you like your security camera system? And how regularly will you be running your security cameras? If you don’t know the answers to these questions, don’t worry. Call us and one of our techs will come out and help you figure out the best solution for you. Call us today at (718) 484-4050. This article provides a few of the important components of purchasing a home security camera system. The tips here are by no means comprehensive so be sure to contact us at (718) 484-4050 should you have more questions or wish to speak to a security camera installation professional. As a local business and East New York neighborhood partner, M&D Locks and Keys is an awesome resource for home security systems. Make sure you check our 5-star testimonials in Google, Yelp and other customer review directories to make sure you get the best security camera pros in Brooklyn. Don’t risk the protection of your loved ones and property to anyone, but the best. Get in touch with M&D Locks and Keys today for an inspection and quote to install a wall of safety and security at your home. M&D is licensed with the Associated Locksmiths of America (ALOA). We’re also members of the Brooklyn Chamber of Commerce and the BBB. Certainly, there is no higher priority than keeping your household safe and sound. There are several ways to do it. Permit the experts at M&D Locks and Keys to help. Buying a security camera solution for your home is a good initial step. We’ll make sure that it provides you the most protection.